During a recent interview with Polygon Slightly Mad Studios discussed some of the elements that set its upcoming free-to-play racer, World of Speed, apart from the competition. A first for the MMO racing genre will see World of Speed award victory to a racer depending on their points, achievements and complete objectives in any given race. A variety of different variables will come into play including clean corners, drifting style and interacting with other cars, giving players that don’t always finish in the lead a chance to still emerge victorious. It’s a bit of a double-edge sword really. Although 7 other players may be left feeling a little downtrodden, is it worse than beating all other racers and still not claim first place? Many previously unannounced features were also discussed during the interview including The Airfield. 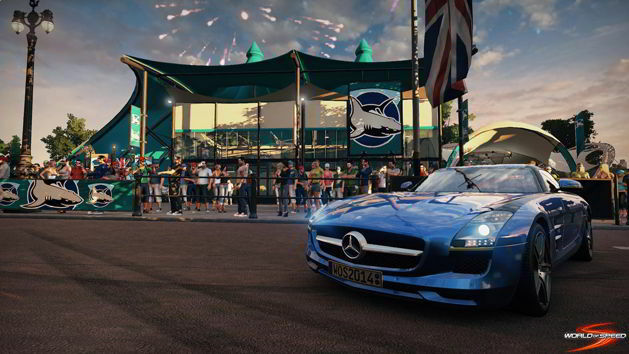 A central social hub allowing players to get together and showcase their latest modifications and custom paint jobs without the competitive nature of the racing mode itself. For more details on other World of Speed features check out the full interview below.